Chinese leader Mao Zedong is now honoured with a massive sculpture build on Changsha's river-bound Orange Island, Hunan, China. The Location of his statue was also chosen due to his poem wrote in 1925. “Changsha” is the most well-known poem amount his poems. 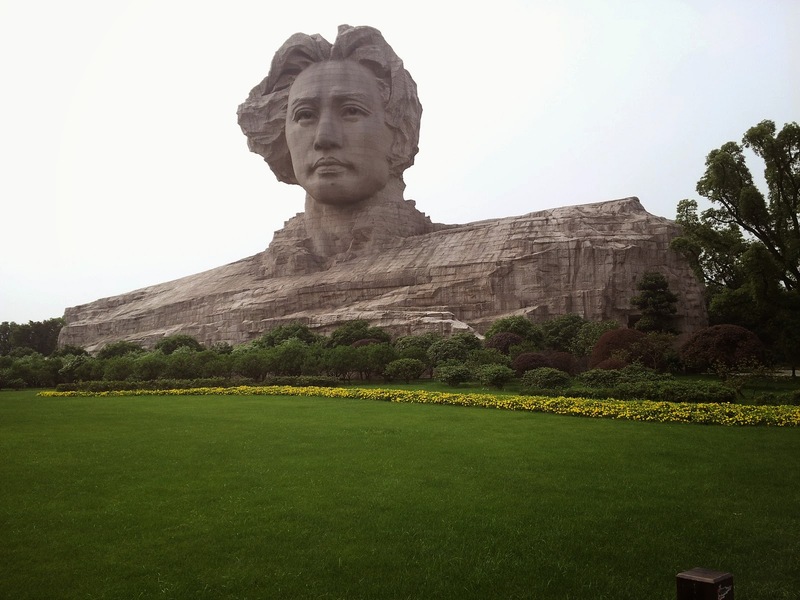 The Youth Mao Zedong statue stands 32m height, 83m long, 41m wide and depicts Moa Zedong in 1925, as a young man. Construction of Young Mao Zedong statue started after CPC Central Committee approval on February 2007. The statue was unveiled on December 2009, (Mao’s 116th Birthday). The cost was about 35 million US Dollars (300 million RMB), 8,000 giant granite bricks were mined from Fujian and brought to Changsha.